For some reason I just can't get enough cuff bracelets this season. Pile them on....... 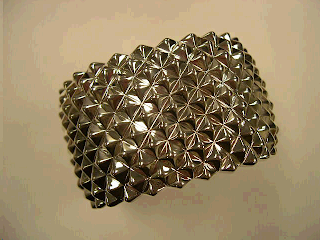 Here is "SuperStud" wide cuff bracelet from Stephen Webster's (the famed jeweler to Rock Stars) new sterling collection! Now that is a CUFF!